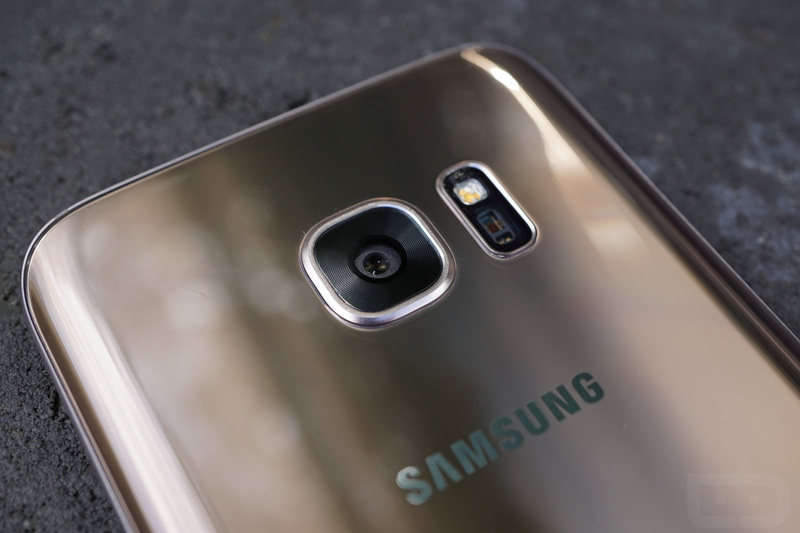 A recent report from SamMobile details a new feature we might see on next year’s Galaxy S8 from Samsung, something called Smart Glow. Basically, Smart Glow will replace your device’s LED notification light, but does much more than let you know when you have a notification that needs your attention. As an example, on the Galaxy S7 Edge, you can assign select colors to your top contacts. Whenever that contact calls or texts you, that selected color will light up your Edge Display, so long as you have that feature enabled. With Smart Glow, an outer ring that surrounds your camera lens will light up, providing a more loudly colored notification that someone is attempting to reach you. Beyond just the notification aspect, it is reported that Smart Glow will soon also be able to provide notifications regarding the device itself. For instance, if your device is nearing its maximum storage limit, it could shine a red color, or if you would like to know the weather outside, Smart Glow could shine Yellow to indicate a sunny day. Additionally, S Health may also get tied into Smart Glow at a later time, with the device’s camera and LED flash handling the measurements of heart rate, then Smart Glow utilizing that information in a currently unknown manner. According to SamMobile, Smart Glow won’t first be available on the Galaxy S8 in 2017, but instead, will launch with limited features later this year on the Galaxy J2 in India. At that time, we should get a real sense for how it looks and works. As reported, if and when the Galaxy S8 does launch, Smart Glow should have many more features by that time, making it a more useful addition to the Galaxy lineup for the US. The below image was created to give a sense of what Smart Glow could potentially look like when in use. However, in reality, this is just fancy Photoshop work and not what it will actually look like. Does Smart Glow interest you for the Galaxy S8 next year?